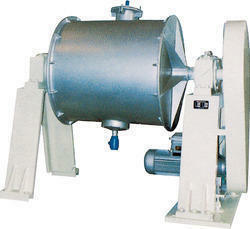 Our range of products include laboratory ball / rod mill. This kind small ball mill is totally enclosed intermittent grinding equipment which is capable of both dry grinding and wet grinding grinding. The grinding feed sizes are 2-15M/M and the grinding amount for each time is 1 - 10kgs. It is used to grind materials in half industrial laboratories and other small scale industries such as building materials, fireproof materials.metallurgy,coal,light chemical, and agriculture. During the study of ores’ separability, this machine is not only used as a ball mill, but also meet requirement of getting the desired particle size of grinded materials according to beneficiation method. Steel rods can be the grinding media to be used for rod mill. Since this machine has large handling capacity, it is the best kind of transitional grinding equipment between continuous grinding and intermittent grinding. It’s also a kind of suitable grinding equipment used during geological experiment work before heavy placer minerals are separated.